It was announced today at the San Diego Comic Con that Action Lab Entertainment, known for their award-winning series Princeless, will be publishing a new Puppet Master comic book series. Puppet Master was a horror movie that spawned sequels and a cult following. It was about living dolls with a penchant for violence. The puppets were created by Andre Toulon, a puppet maker who brought his creations to life with an ancient Egyptian potion. During WWII, Nazis wanted to get a hold of Toulon's formula so he took his own life. A psychic brings the dolls back to life years later and more and more continue to join the living. I was thrilled to hear this news because I'm a big fan of the movies even though they got progressively stupider as they went along... not that they weren't farfetched to begin with. Plus, they made nine of these Puppet Master movies spanning from 1989 to 2010 and a crossover film with Demonic Toys. The crew of deadly dolls include Blade, Jester and Tunneler. The series will be written by Shawn Gabborin (Fracture, Snowed In) and drawn by the series creator Charles Band. This is not the first time Puppet Master has been made into a series. 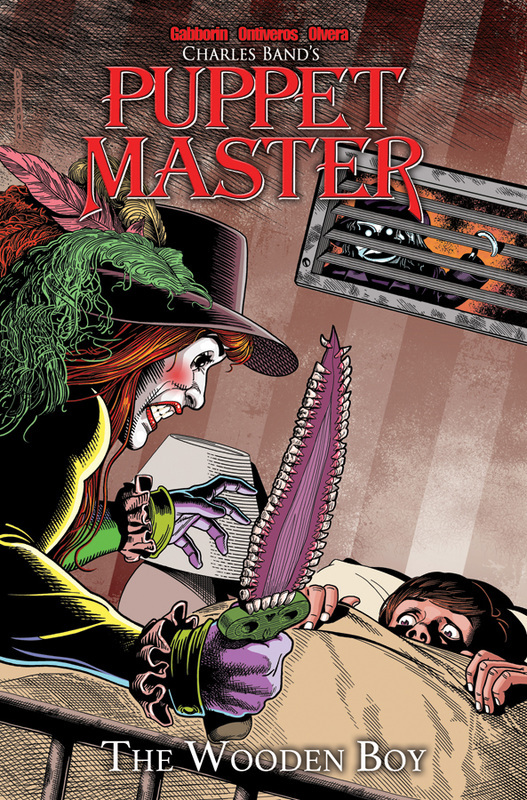 Four issues of Puppet Master were published by Eternity Comics in 1990. But now, with almost a dozen films at their disposal, it will be interesting to see what direction Gabborin and Band take the horror series. Hopefully we get a new story and not just a recap of the movies.